Have you heard of my friend Martha’s latest invention?! 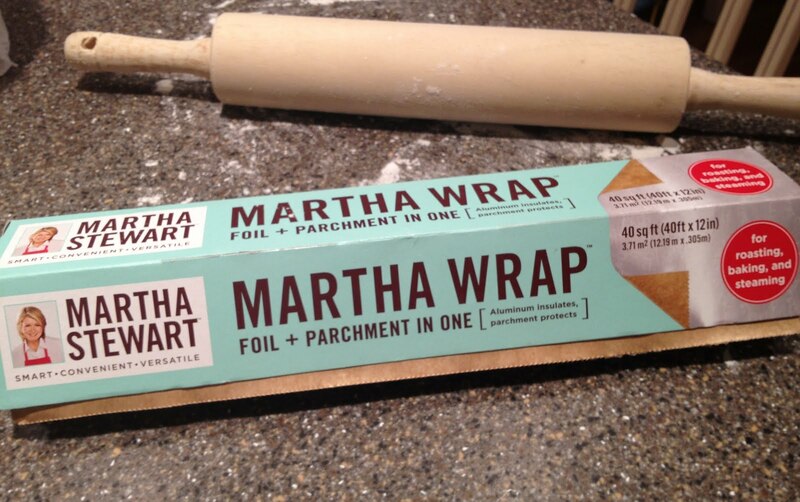 Martha Wrap. Aluminum foil on one side, parchment paper on the other side. Perfect for baking, roasting, etc… It’s not too easy to find so when we saw it at Marshalls we grabbed a roll. We used it most recently when we made this flaky tomato and mozzarella tart. It worked perfect as parchment paper so the dough wouldn’t stick to the pan and as foil to wrap around the side of the pan. That Martha, she thinks of everything.